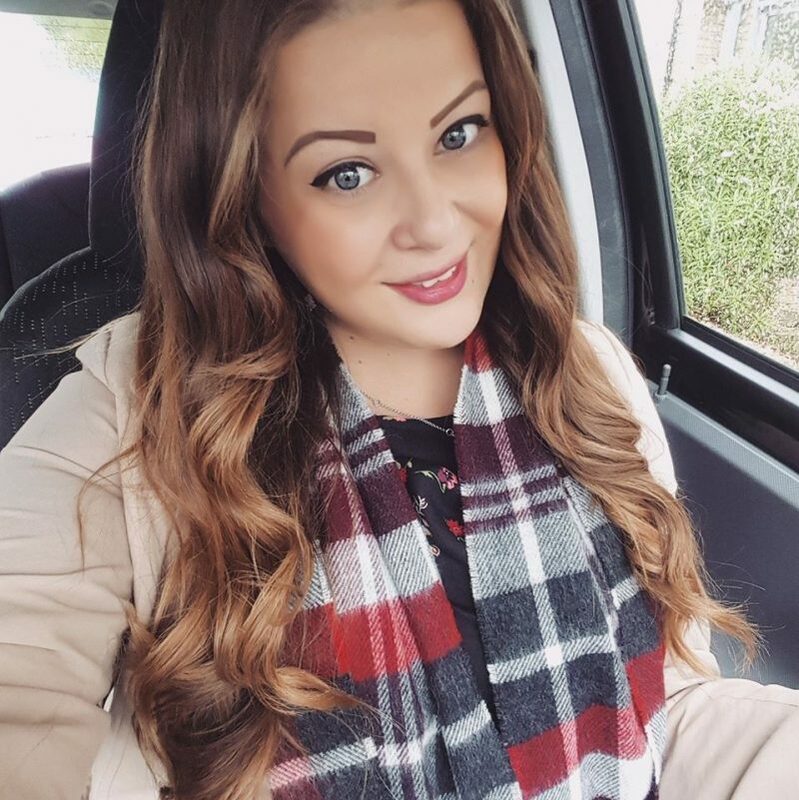 Last week bloggy pal Terri kindly invited me along to Bluestone in Wales with her and her boyfriend. Liam came too and we all had a jolly little holiday together and stayed at one of the two bedroomed lodges in the cosy Bluestone resort. It takes a good 4+ hours to drive down there, but it was worth it as I had a lovely little midweek break for two nights. For the first night I made spaghetti bolognese at the lodge as it has a fully equipped self catering kitchen, and although my cooking skills aren’t up to much I think it was a success! 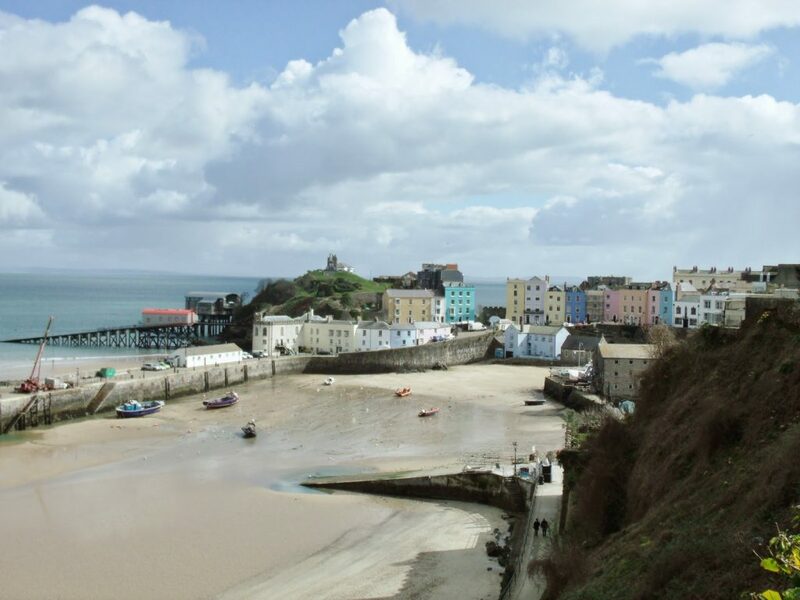 The next day we travelled together to the gorgeous little seaside town of Tenby. We were lucky that it was a beautiful sunny day and the sky was blue (although a bit cloudy). 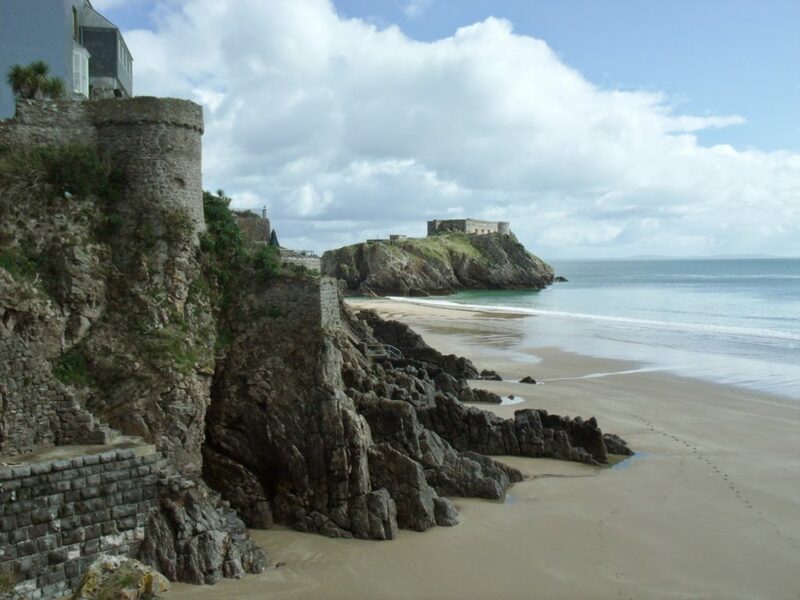 The beaches in Tenby are so stunning it’s hard to believe they are even in the UK! 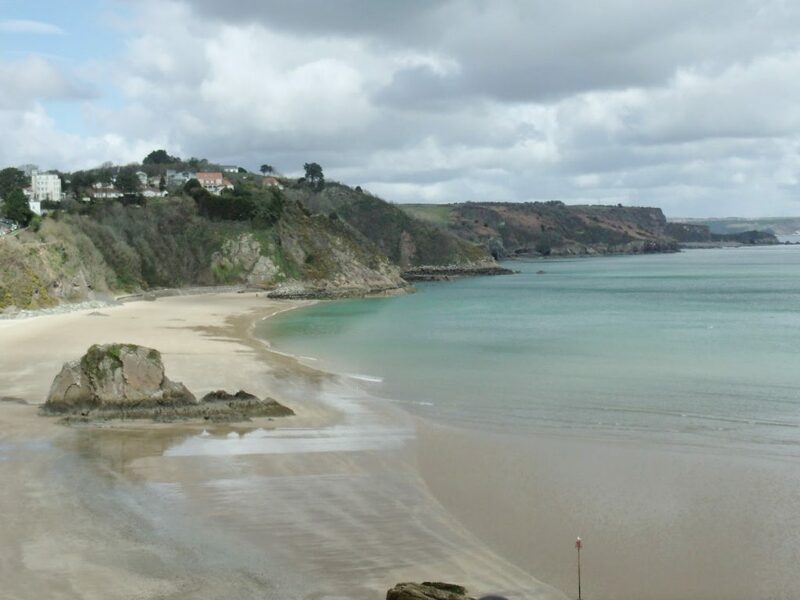 There are miles of golden sandy beaches and the sea water is lots of pretty shades of turquoise. We had a nice walk around the town and had some ice cream as we wandered about. 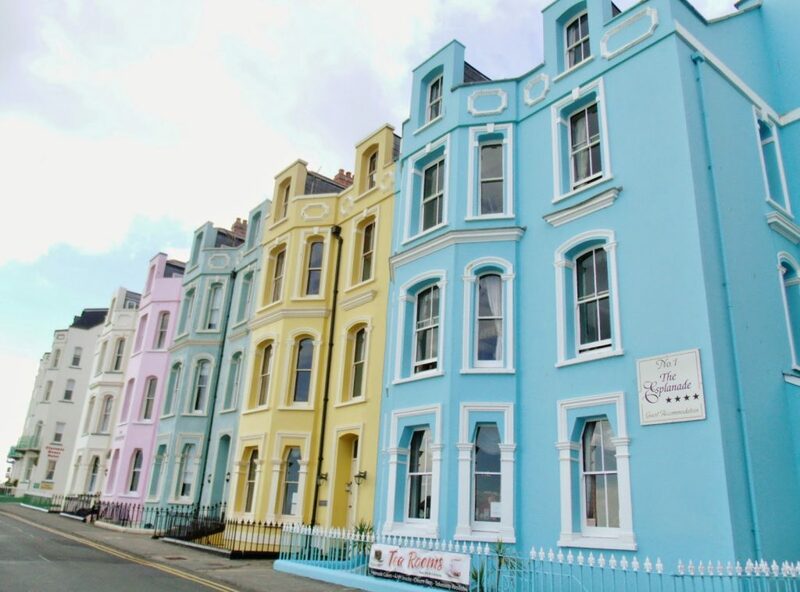 There isn’t a huge amount to do in Tenby (not that we found anyway) but it was a very pleasant place and I loved the pastel washed houses all in a row on the sea front. 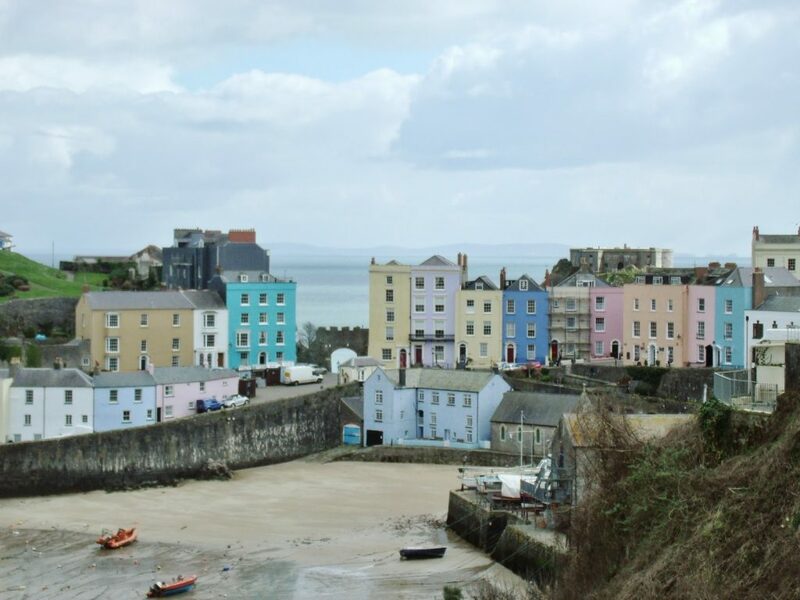 After our day trip to Tenby we drove back to Bluestone via Narbeth which is another sweet little town, and we had a look in the pretty shops and a big antique store. We also discovered some old castle ruins at the bottom of the streets, and then we stopped off at a grill restaurant called Peppercorn. I had a delicious burger with caramelised red onion and Camembert cheese, it was amazing! We didn’t do too much on site at the Bluestone resort, although we did go for a walk along the nature trail, and one evening we had dinner in the on-site pub The Knights Tafarn. On the last day me and Liam spent the morning at the Blue Lagoon waterpark at the top of the resort (quite a walk from the accommodation when you’re cold and wet!) which is loads of fun! They have a few slides, including ones which go outdoors (brr!) and a wave pool. I do love a good waterpark! 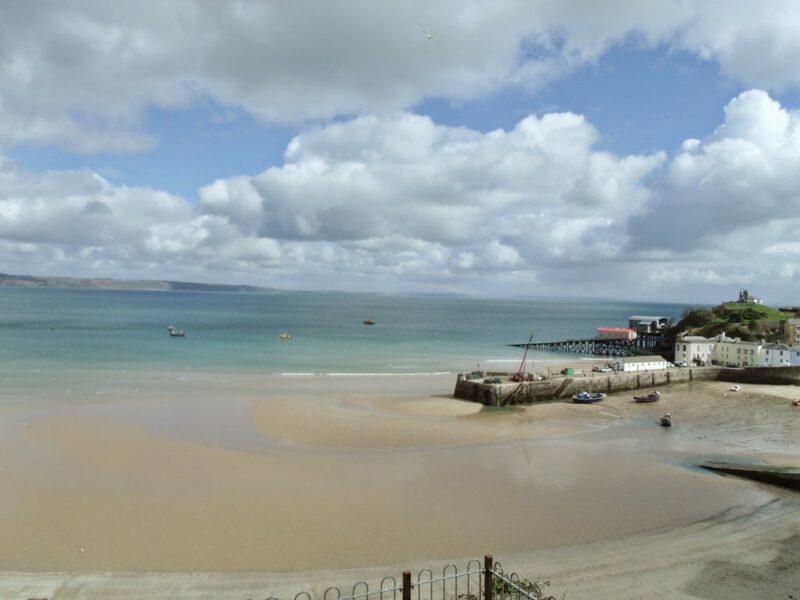 We had a great trip, and it would be such a lovely place to visit in the summer months when it’s a bit warmer! 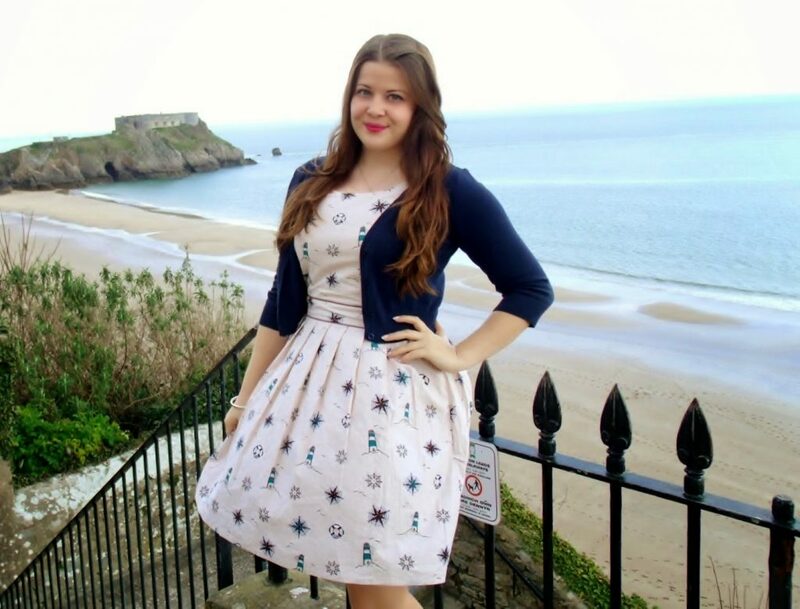 To fit in with the sea side theme I wore my lighthouse dress from Yumi at House of Fraser to Tenby (sorry about the photos, Liam is the worst photographer ever). 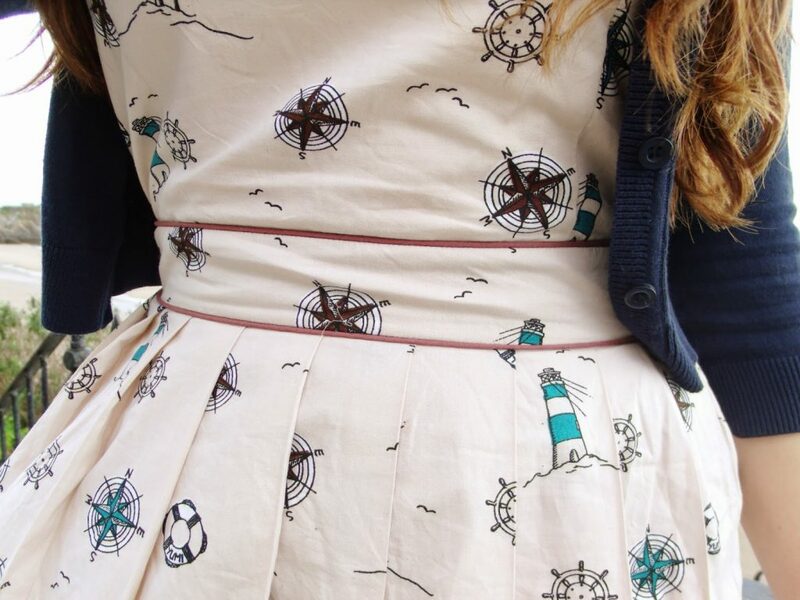 It has a very sweet compass and lighthouse print, with contrasting red binding at the waist and cross back detail. 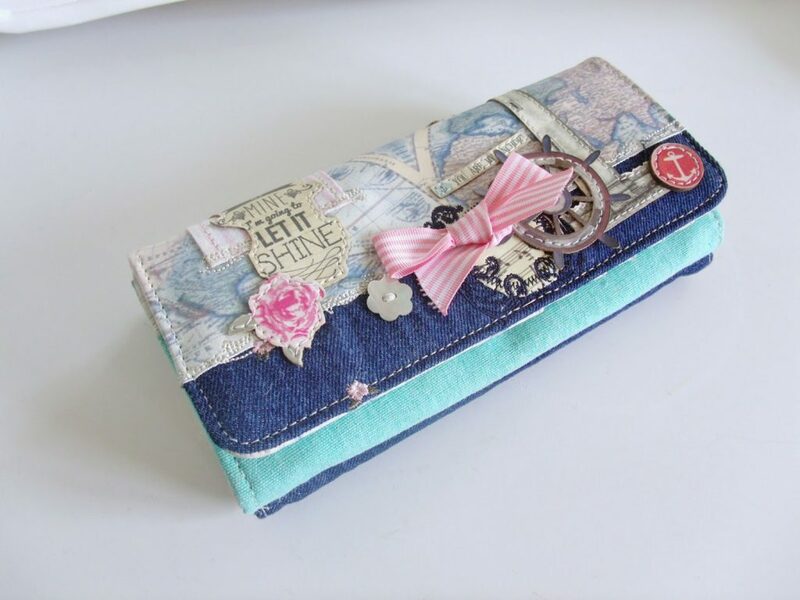 It has a full pleated skirt which sits just above the knee on me, which makes a change for me! 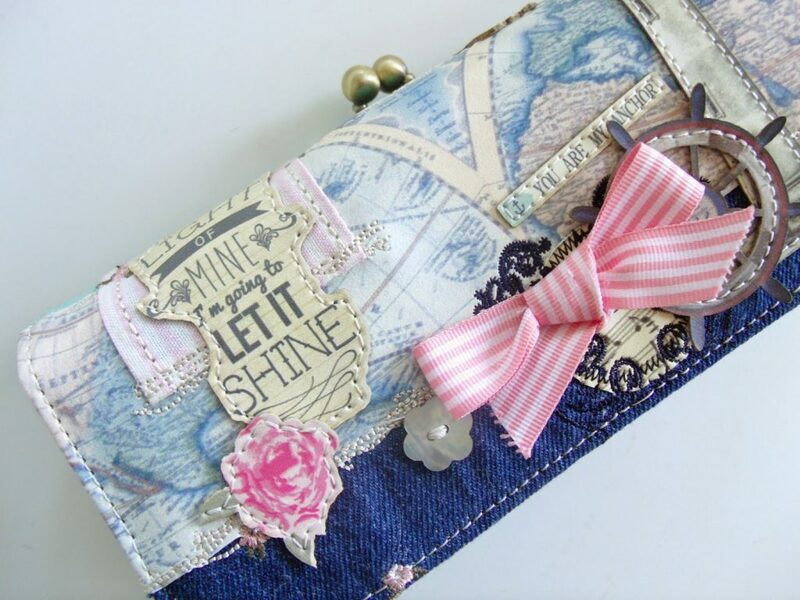 I wore it with a cropped navy cardigan and blue peep toe Boden wedges. I really like this outfit and I think it will be ideal to take on holiday this summer. 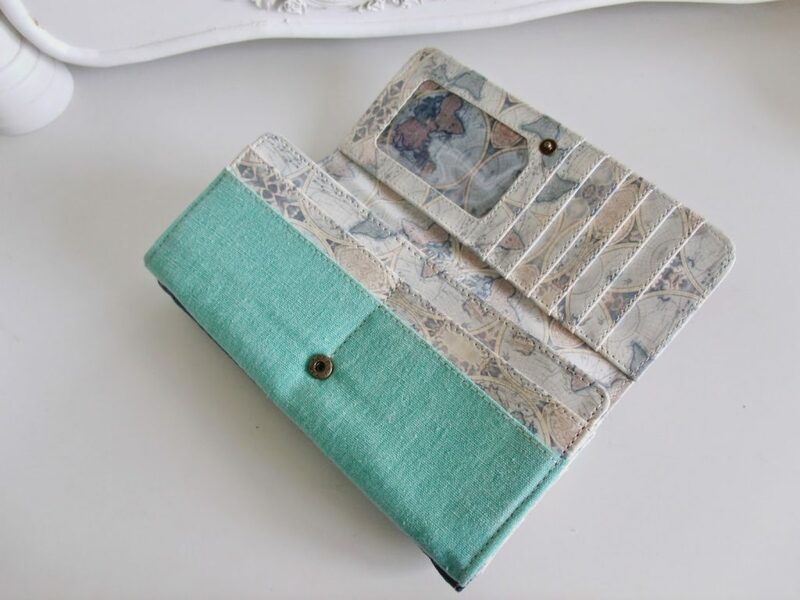 The cute lighthouse design wallet from Vendula matches perfectly with the pattern on the dress, and it has hand sewn fabric details and a sweet world map lining. Great pictures 🙂 It looks like you had a great time!